You must have seen the pictures of this lake on Instagram, right? Pink lakes aren’t an optical illusion. 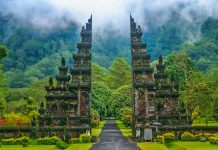 They’re natural wonders that can be found in many countries around the world. Well, Mother Nature sure likes to fool around with us. Yes, the water here isn’t your NATURAL BLUE, it’s pink. Yep. Their signature hue is PINK. 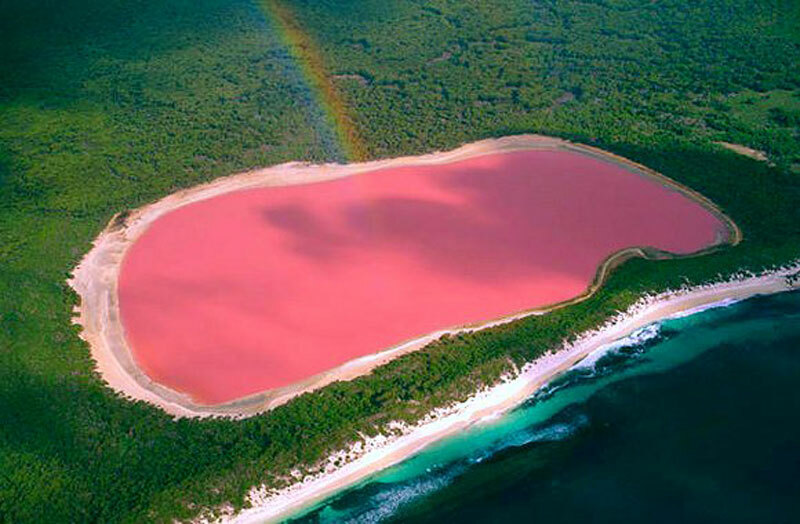 Scientists believe that the high salinity of these lakes helps to explain their unique colouring. 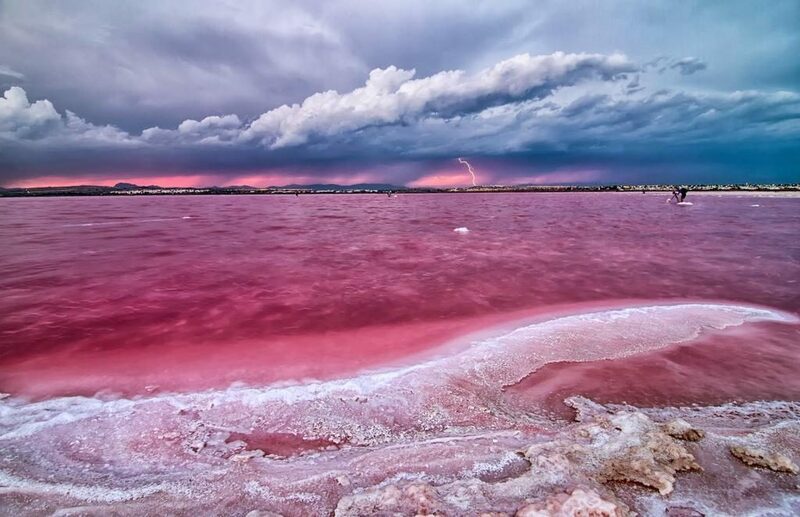 Although the exact cause of each particular lake’s colouring hasn’t been definitively determined, different scientists have various theories that they believe can explain the pink colour of these lakes. 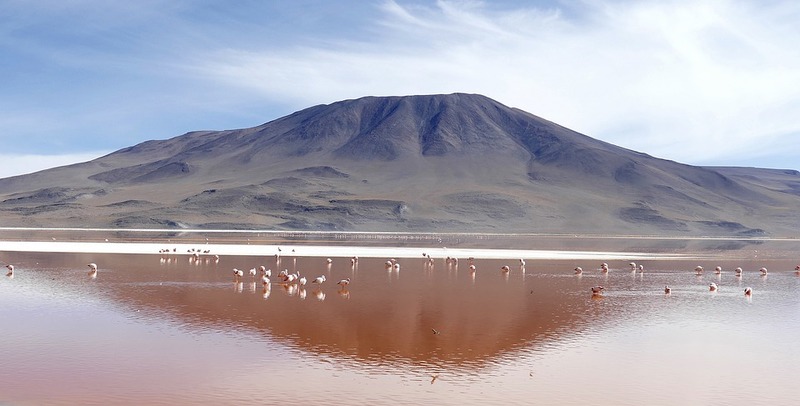 The answer lies in the high salinity of these lakes that only allows a very few selected microbes to grow and thrive in such harsh conditions. Also, while these water bodies look like “pools of strawberry milkshake”, they are some of the saltiest! So, please try not to take a sip. Discovered in 1802, Lake Hillier can be found on Middle Island, the largest of the islands that make up the Recherche Archipelago, around 130 kilometres (70 miles) from Esperance. This pink lake is 1,968 feet long and 820 feet wide and neighbours the dark blue ocean. The only barrier between the bright pink lake and the blue ocean is a strip of lush green forest. The lake’s pink hue is most vivid when viewed from above; and therefore, plenty of helicopter services available to view the spectacle from the air. Located in the East African region of Arusha in Tanzania and bordering Kenya, Lake Natron sits below an active volcano in the Rift Valley. 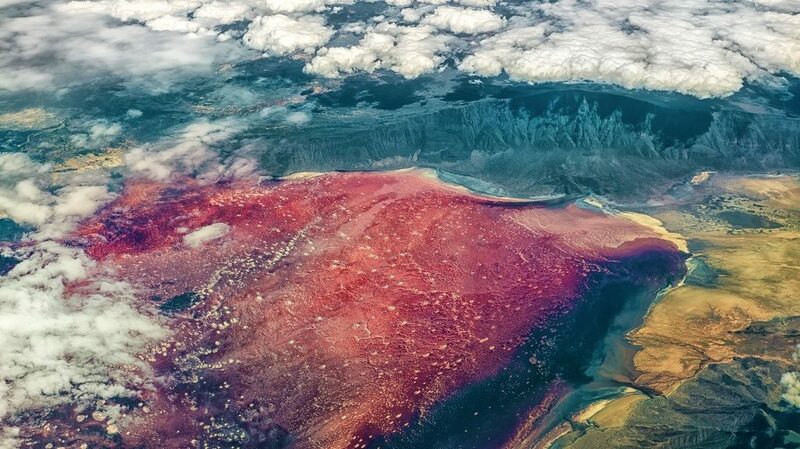 The high evaporation levels around the lake caused by the hot temperatures (as high as 140°F), leaves behind a salty substance known as natron. Although Natron contains high amounts of alkaline (as high as 10.5), this gorgeous pink lake supports wildlife, such as flamingos. The alkaline water is actually ideal for spirulina, a microorganism that the long-legged birds feed on. 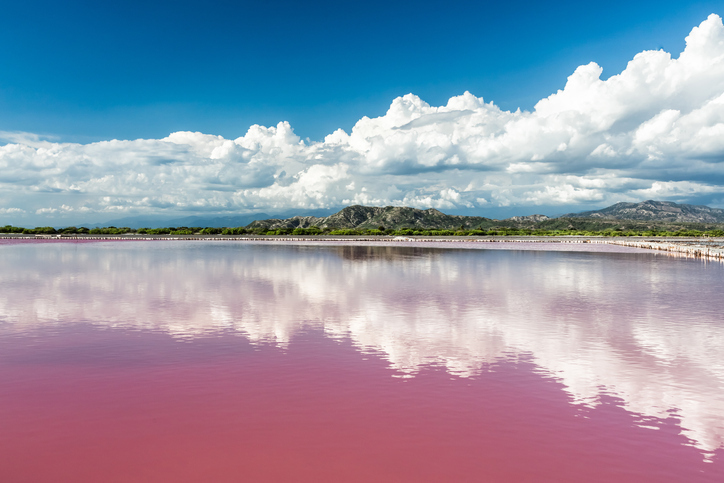 A very popular site for both locals and tourists, Lake Retba is this 1-square-mile pink lake which is situated on the edge of Senegal’s Cap Vert Peninsula. Called Lac Rose by locals, sand dunes separate its water from the Atlantic. The stunning pink hue is most vivid during its dry season between November and June. With its high concentration of salt – 40 per cent, it is also used for salt production. Locals harvest salt by scooping it up from the bottom of the lake using long shovels to pile it on boats. To avoid the drying effects of the salt, they rub their skin with Shea butter. A sight to behold, Colorada Laguna is surrounded by an incredible backdrop of the rolling Andes Mountain range and rocky shorelines. Though it is described as a “pink” lake, Laguna Colorada, or Red Lake, boasts more of a reddish orange shade. This 23-square-mile beautiful pink lake is more than 10,000 feet above sea level. Practically skimming the Chilean border, its maximum depth is nearly five feet making it a perfect hangout spot for you, and for the endangered James’ flamingos. Located at Natural Park de Las Lagunas de La Mata e Torrevieja, in the coastal town of Torrevieja (Alicante province), Las Salinas de Torrevieja is 3,459 acres of pure relaxation. It is known to have therapeutic properties due to the high salinity of the water. 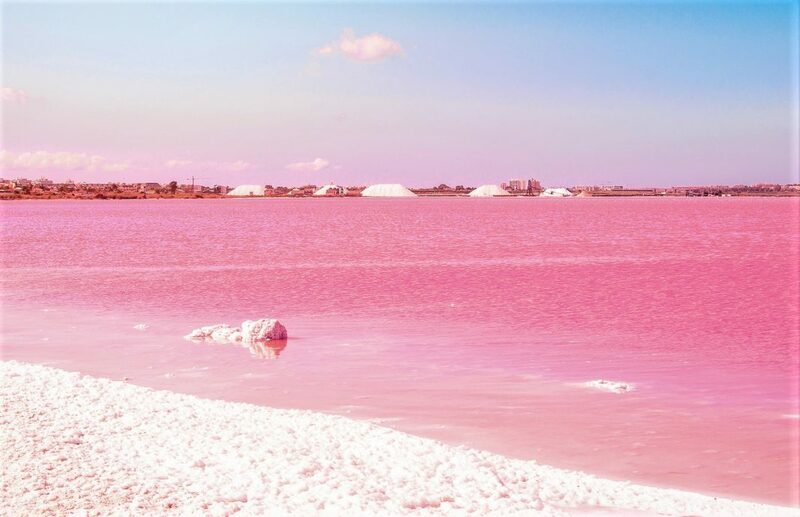 This saline lake with its peculiar pink hue can be considered as an ideal place to pamper your skin and body. But don’t be surprised when the flamingos join the pink party, especially during migration season. 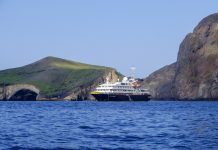 They, along with other migrating birds, spend time here because of the high concentration of brine shrimp in the saltwater. 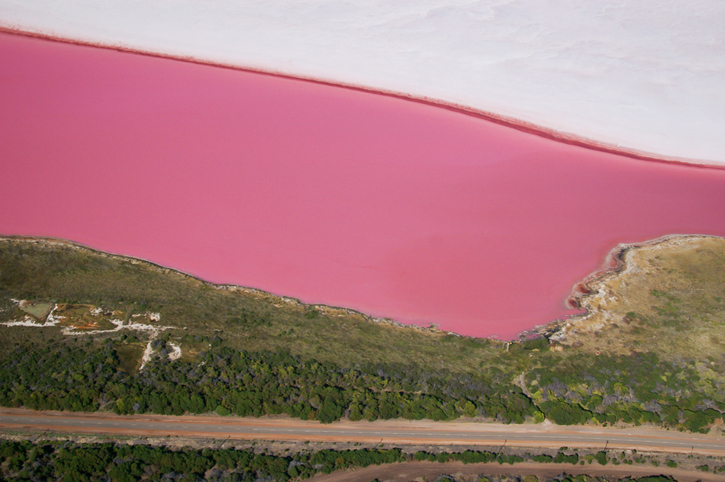 Another spectacular Western Australian lake that shares the same surreal pink hue is Hutt Lagoon. Located in the fishing village of Port Gregory on Western Australia’s Coral Coast, this 27-square-mile (70 square kilometres) lake actually changes colour. Depending on the time of day, the season and the weather, the lake changes through the spectrum of red to bubble-gum pink to a lilac purple; although it’s said to be most beautiful at mid-morning and at sunset. It is separated from the Indian Ocean by a beach barrier ridge and barrier dune system. You can easily visit this beautiful pink lake by taking the road along the George Grey Drive; between Geraldton and Kalbarri. Stopover and add these aquatic anomalies to your must-see destinations. Don’t forget to let us know about your experiences in the comments below!